The refresh animation component can be used as a pull-to-refresh (or swipe-to-refresh) pattern that shows up when a user pulls down on a list of data using touch, in order to retrieve more data. Swipe to refresh works good for lists, grid lists, and card collections that are sorted by recent content (a collection is strictly sorted by descending date). 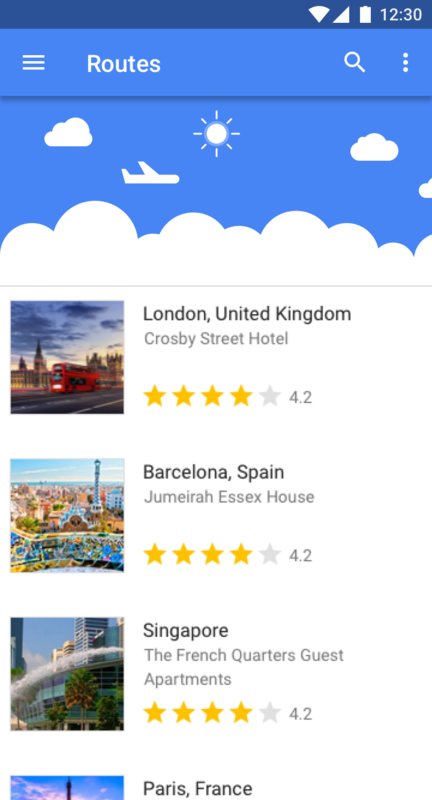 This component has a travel theme and is best suited for travel apps.